Shopping for a capable and stylish 3-row family SUV? A new Mitsubishi Outlander could be just the right vehicle to take your New Orleans area commute to the next level. The Outlander is available with all-wheel drive, and offers a versatile interior, with seating for up to 7, and a maximum 63.3 cubic feet of cargo space. Standard features include a 7-inch Display Audio infotainment system, heated front seats, and a rearview camera. Find the Mistubishi Outlander for sale that will best suit your needs, then contact us to schedule a test drive. 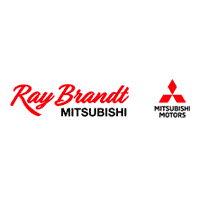 Why Buy a New Mitsubishi Outlander at Ray Brandt Mitsubishi? Whether you’re shopping for a new car, or are in the market for a high-quality used vehicle, you can count on Ray Brandt Mitsubishi. Check out our Outlander vs. Outlander Sport comparison to determine which model is the best fit with your lifestyle, and if you have any questions please give us a call at (504) 684-8139, or stop by our Mitsubishi dealership in Harvey today!